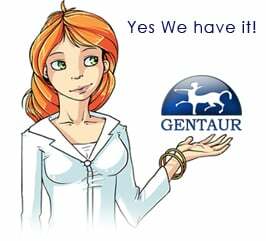 Gentaur antibody-antibodies.com The Marketplace for Antibodies : Analysis of the Escherichia coli genome. III. DNA sequence of the region from 87.2 to 89.2 minutes. Analysis of the Escherichia coli genome. III. DNA sequence of the region from 87.2 to 89.2 minutes. The DNA sequence of 96.5 kilobases of the Escherichia coli K-12 genome has been determined, spanning the region between rrnA at 87.2 minutes and katG at 89.2 minutes on the genetic map. The sequence includes 84 open reading frames, of which 46 code for unidentified proteins. Six previously mapped but unsequenced genes have been identified in this span: mob, fdhD, rhaD, rhaA, rhaB, and kdgT. In addition, five new genes have been assigned: the heat shock genes hsIU and hsIV, and the genes fdoG, fdoH, and fdoI, which encode the three subunits of formate dehydrogenase-O. The arrangement of the genes relative to possible promoters and terminators suggests 57 potential transcription units. Other features include the precise location of the bacteriophage P2 attachment site attP2II, and eleven REP elements, including one containing 9 REP sequences--one of the largest such elements known. This segment brings the total length of contiguous finished sequence to 325 kilobases.